Opening in 1992, Hafner Florist has been the premier florist for Toledo and the surrounding areas. Family owned and operated we pride ourselves on having the perfect flowers for every occasion including birthday, anniversary, new baby, funeral and our favorite - just because. We deliver to all area hospitals and funeral homes. We deliver to the Toledo area including - Sylvania, Perrysburg, Toledo, Maumee, Holland, Waterville, Temperance, Lambertville, Bedford, Swanton, Ottawa Lake, Northwood, Oregon, Rossford, Metamora and Walbridge. We also have a dedicated wedding and event department with innovative and creative professional designers to help with your special day. 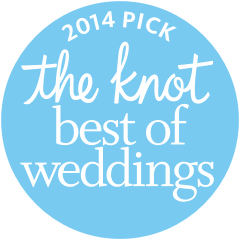 Awards include Best of The Knot (10 years in a row), The Knot Hall of Fame, Couples Choice Wedding Wire and The Best Of Toledo. Our goal is to make each of your days beautiful and your once in a lifetime moments unforgettable. If you have any questions or need more information, please contact us by e-mail at comments@hafnerflorist.com or call us directly at 419-885-7033. Same-day delivery for online orders placed by 1pm est.